Movenpick’s main restaurant AYU, is a multiple themed buffet restaurant offering all day dining (breakfast, lunch and dinner). It hails its name through the Sinhala meaning of ‘long life’. Despite the fact that AYU only opened a couple of months back, we dropped by on a Tuesday afternoon for lunch and found ourselves pleasantly surprised as we were surrounded by large crowds of office goers and friends catching up for lunch. 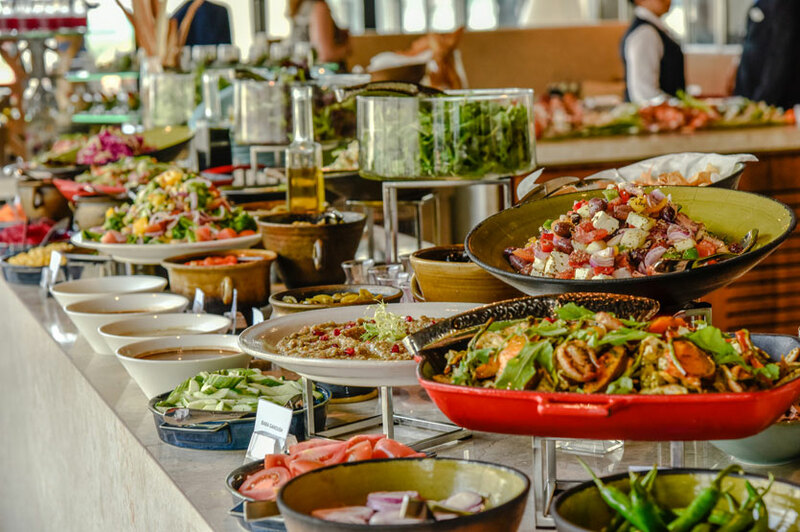 And it’s quite easy to understand why; AYU offers a spectacular spread for lunch with a variety of choices that spans across the full length of the restaurant. AYU has its fully stocked bar area within the restaurant. 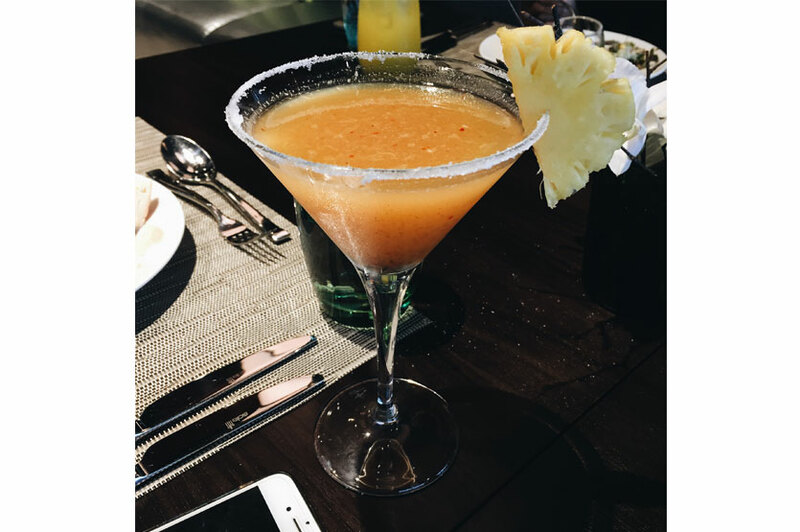 Having just introduced a brand new cocktail menu, AYU has really taken its task of localizing to its name by introducing some great Sri Lankan based cocktails. Despite the tempting urge to try out cocktails like the ‘Gal Pol’ and the ‘Nanana Na Banana’ we zeroed in on two cocktails we definitely didn’t want to miss out on; the Kiwi Granate and The Achcharu. The Achcharu, tastefully presented in a martini glass is a cocktail made with achcharu pulp and tequila. For Rs.990, we thought the cocktail is well worth the price because we absolutely loved the flavours of the cocktail. The achcharu pulp made with mango, ambarella and pineapple was given a burst of spice with the inclusion of black pepper and chili flakes. The spicy pulp together with a dash of Tequila had the perfect spice factor for a cocktail making The Achcharu a recommended drink. 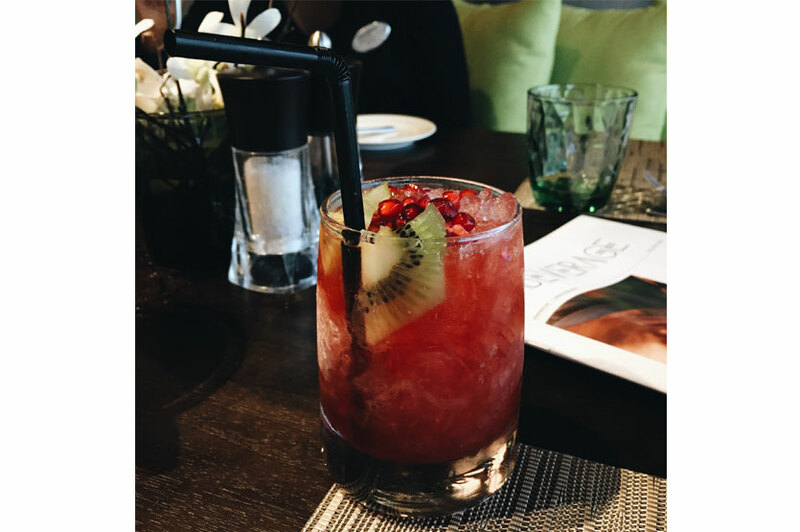 The Kiwi Granate is a cocktail on the other end of the spectrum with a more sweet taste to its name. Made with kiwi, pomegranate and spiced rum, the cocktail tasted a lot like candy and if that’s how you like your cocktails then the Kiwi Granate doesn’t disappoint! But if Oreos and alcohol are your two weaknesses, say no more! AYU’s ‘Ebony’ is a cocktail that has both! Made with Cognac, Nutella, Oreo and butterscotch ice cream the cocktail sounds like the dream of every sweet lover! But if you happen to be more of a ‘wine’ and dine person – fear not, AYU is just about to introduce an absolute treat for any wine enthusiast. A vintage wine and cheese cellar now occupies a corner of the restaurant with bottles and bottles of wine stacked and stored from top to bottom. The appetizers occupy a rather large area of the restaurant offering an assortment of dishes starting from a cheese and crackers platter and a small variety of breads. AYU also offers a selection of sushi rolls despite having its own Japanese restaurant and even an open seafood bar with fresh calamari, crabs, prawns and mussels to be served with a selection of sauces. The salad corner however offers the largest of varieties with all sorts of tossed salads and wraps. 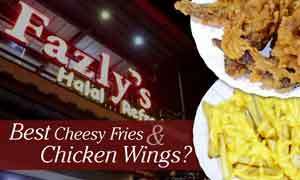 The mains in the restaurant tends to differ from the mains commonly offered in many buffets. 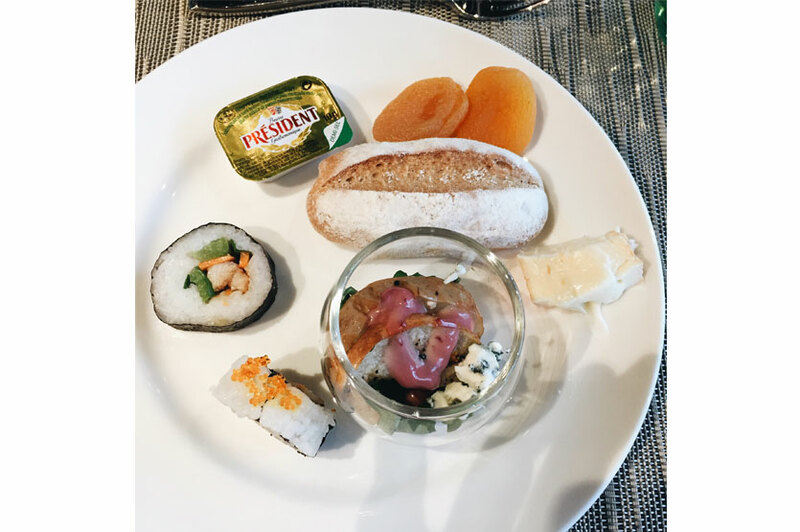 While a lot of the buffets tend to present an overload of dishes (sometimes the same dish done in many ways), AYU has kept its mains comparatively smaller and simpler. 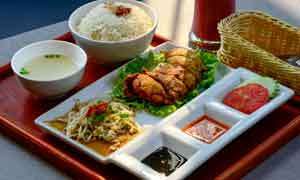 With two separate corners dedicated to local cuisine and Western cuisine, we started out with the local cuisine. AYU specializes the Sri Lankan rice and curry by presenting dishes with rarely used local vegetables such as lotus roots. The local corner also features a selection of Indian dishes as well. The continental corner comes with a few action stations in which we served ourselves some cheesy pasta and strip sirloin steak (beef) straight from the stove. Despite its simplicity, the mains still presented plenty of variety to choose from and chose to give quality dishes over quantity. There’s a saying that says that ‘desserts don’t go to the stomach, it goes to the heart’ and once you see AYU’s choices for dessert you most certainly wish that dessert goes to the heart because you need all the space you can get! 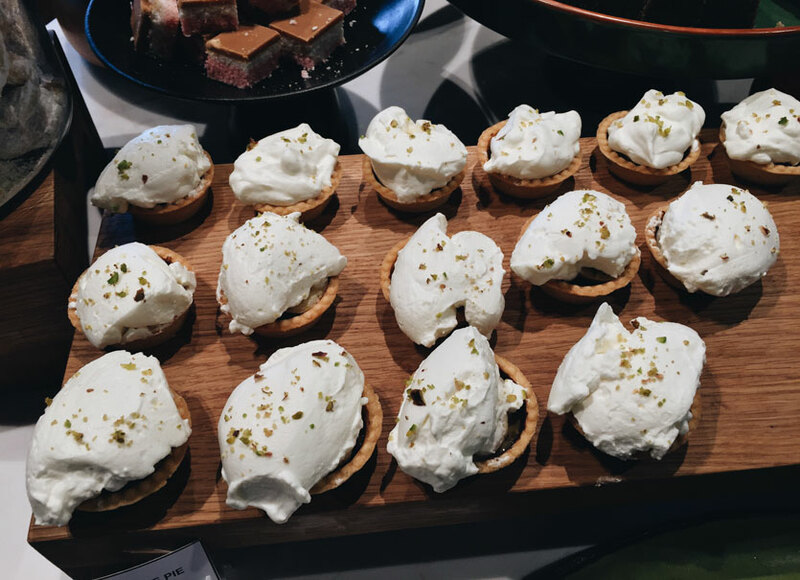 This was without a doubt our favourite part of the buffet and it’s all because the desserts have its very own room due to the magnitude of its variety. A long white table stretches across the room filled with mouthwatering sweets that’s nearly impossible to choose from. 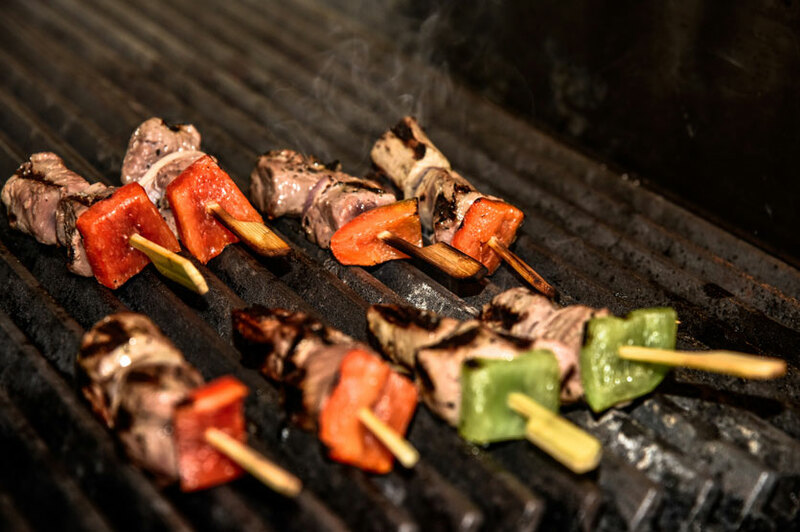 Whilst we would have liked to try every dish offered, the lack of space in our stomachs curtailed our excitement and led us to choose a few exceptional dishes. We thought their cheesecake and red velvet cake was absolutely delicious but it is the crème brûlée that we fell in love with. 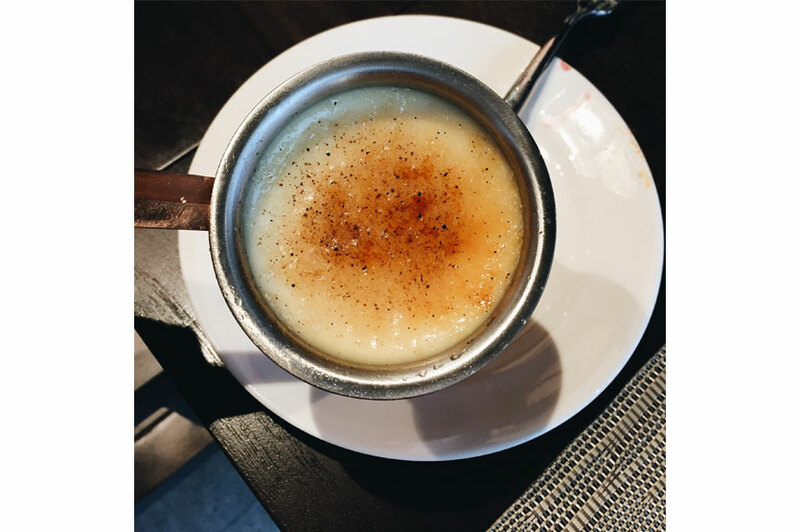 Presented in its own pots, the crème brûlée was baked to perfection with a thin caramelized layer. 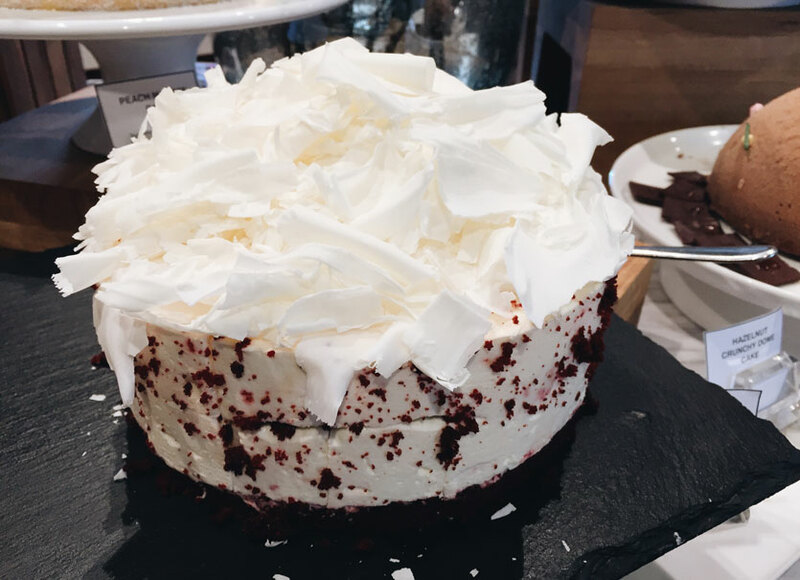 If there is any advice to be given from our visit – it’s to definitely start with the dessert and work yourself up from there in order to avoid the disappointment you feel when you realize you can’t eat everything on the dessert table. The overall theme that AYU attempts to achieve is an energetic, youthful vibe with its urban contemporary décor of green, yellow and blue. 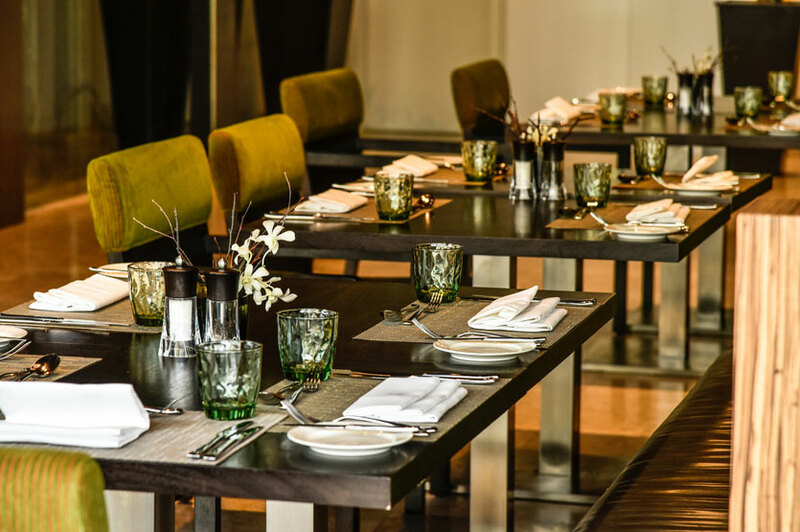 Spaciously designed and tastefully put together - AYU offers a very relaxed ambience that contributes towards the overall dining experience. The service at AYU was pretty great! The staff was quite friendly, helpful and was attentive at all times. Overall, we thought AYU was a great hidden spot for lunch. We were quite pleased with the presentation and the flavours of our dishes and we did fall head over heels for the desserts! Their cocktails offer a refreshing change from the usual cocktails and are definitely worth a try. 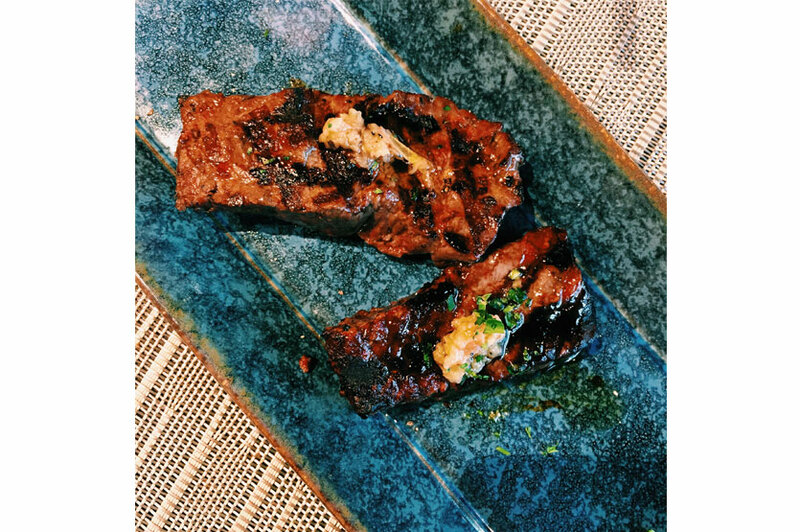 So if you’ve got a lunch date planned in mind - AYU just might be a great spot to try out!